The Newman Club at The University of Iowa, named for influential 19th Century Cardinal John Henry Newman, was formed in 1906 to be the Catholic Club on campus. Beginning with a society formed by at Oxford in 1888, Newman Clubs began emerging on secular college campuses throughout the world as a way for Catholic students to grow in their faith during the college years. In 1893, the first Newman Club in the United States was formed at The University of Pennsylvania; today, there are hundreds of Newman Centers and college parishes that continue the mission of spreading the Gospel on campus. In 1943 the Diocese of Davenport purchased a former fraternity house on the West side of the Iowa River, which opened on February 21, 1944 as The Catholic Student Center. The Chapel was dedicated to St. Thomas More on May 7, 1944 by Bishop Henry P. Rohlman. The center included a worship space, social rooms, and a library in a building that also housed the priests serving the center. The first pastor was the Rev. Leonard Brugman. Eventually, the Newman Center acquired a Quonset hut--a temporary housing structure built by the US Military during World War Two and converted to married-student housing for the University following the war--and converted it for use as a Chapel. From 1947 until 1967, the Quonset hut served as the primary student worship venue. In 1967, the Newman Center moved to its current location on the corner of Clinton and Jefferson Streets, just across the street from the heart of the University of Iowa's central campus. The Newman Center inhabited a building that previously served as St. Mary's Catholic elementary school, and for 20 years, the old St. Mary's facility housed a Chapel in the basement, with offices and a lounge on the first floor. 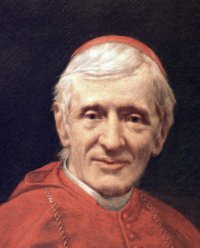 In the late 1980s, former Director Fr. Ed Fitzpatrick launched an ambitious building campaign to tear down the old building and construct a modern student center that would serve as a focal point for Catholics at The University. In summer, 1987, excavation of the site began, and by early 1988, the cornerstone was blessed as construction commenced. On January 15, 1989, the Newman Center's current facility was dedicated by Bishop Gerald O'Keefe, and in 1994, a new Baptistry was installed. 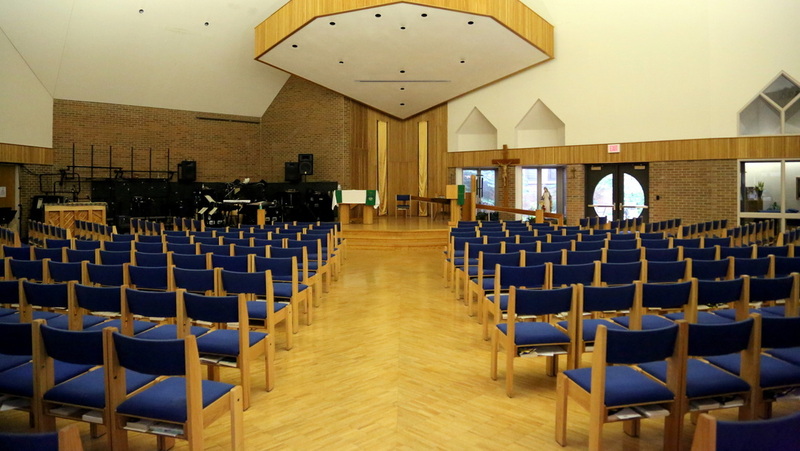 In its present form, the Newman Center features a 400 seat Chapel, with state-of-the art sound equipment, allowing the wonderful Newman Singers and music ministers to lead us in dynamic worship. The Center likewise features a cozy Main Lounge with a fireplace, couches, and TV; two large Multipurpose Rooms that are utilized for a variety of groups and events; a full-service kitchen, numerous small group meeting areas, and a library.